Located in Fairfax County, Bailey’s Crossroads, VA is a medium-sized community that is home to just over 22,000 people. Steeped in history, this once mainly rural area is now home to Bailey’s Crossroads apartments. Bailey’s Crossroads includes several elementary schools and is conveniently located next to many other communities. Older students attend a nearby high school. There are seven state colleges or universities within eight miles of Bailey’s Crossroad, including Marymount University, Georgetown University, and George Washington University. Bailey’s Crossroads apartment residents can access the Amtrak station at several locations in the surrounding communities of Alexandria, Washington and Lorton. Bailey’s Crossroads manages to maintain a small-town feel while providing access to transportation, colleges, and other amenities found in larger communities. Original plans for the Washington Metro called for the lines to travel underneath Bailey’s Crossroads, providing quick access for residents of the community, but the plans were eventually changed. Arlington and Fairfax developed a plan to include a streetcar that links to the metro system in the future. Entertainment and shopping options in the city include Bailey’s Crossroads Shopping Center, Culmore Shopping Center, Skyline Mall and several restaurants and theaters. Residents in the city can also visit the Lillian Carey Park. Community members have easy access to much larger communities nearby, including Fairfax and Washington DC, via travel on I-395 and I-495, with an easy transition to I-295 as well. The community offers a quiet, rural environment, yet provides access to major metropolitan communities. Residents of Bailey’s Crossroad can enjoy the comfort of a small community and take advantage of the multitude of historical sites, theaters, restaurants, and malls within a short drive. The apartment market in this town is expanding and offers dozens of choices for new and returning residents. Apartment dwellers enjoy access to the downtown area, dining options, and various community amenities, including pools, gated communities, and fitness centers. 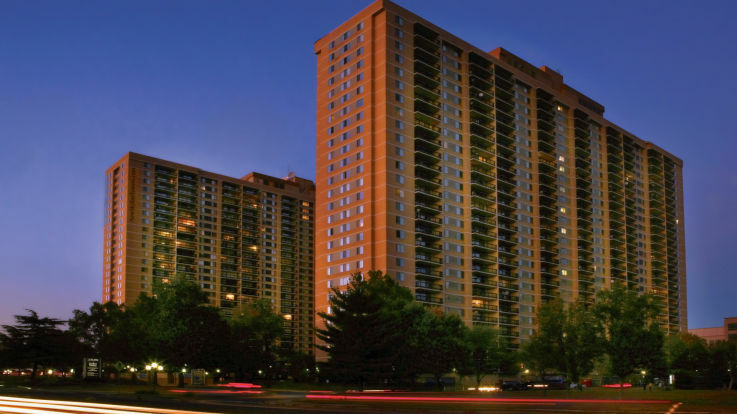 Housing options include high rise apartments and smaller complexes, duplexes, and single-family homes. Bailey’s Crossroad has strong historical roots. Founded in the mid-1800’s, the town was hit hard by the Civil War. The community suffered as a result of its location as the unofficial no-man’s-land between two warring countries. Following the war, the city returned to its rural roots until after World War II when the area was heavily developed, creating the community that exists today.